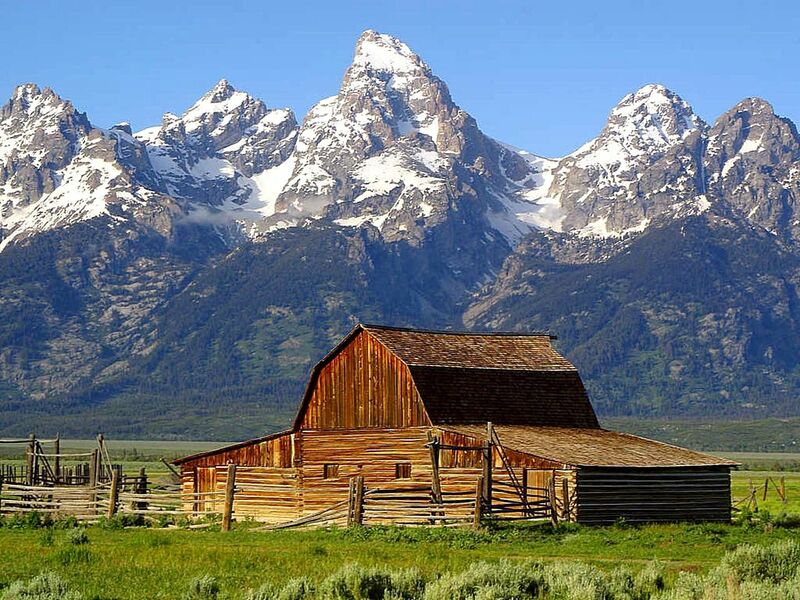 In beautiful Wyoming you will find the breathtaking Grand Teton National Park, which features the 46 mile long Grand Teton mountain range. 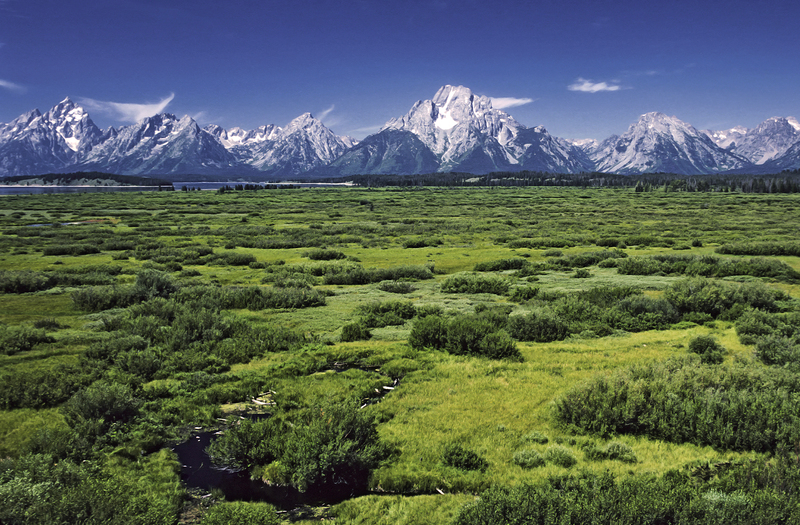 Grand Teton National Park is just 10 miles (16 km) south of Yellowstone National Park, and a visit to one should include a visit to the other. 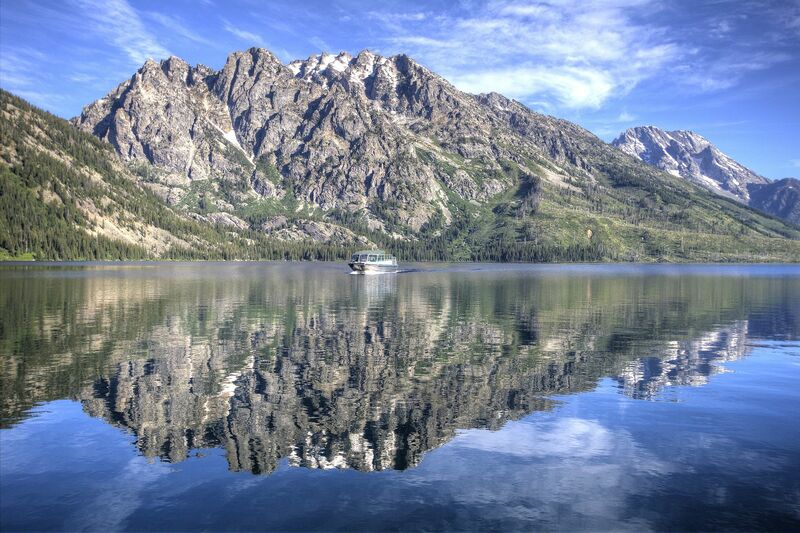 The park is named for Grand Teton mountain, the tallest mountain in the park at 13,775 feet (4,199 m). Grand Teton National Park has a rich history of Paleo-Indian and Native American settlements, dating to over 11,000 years ago. 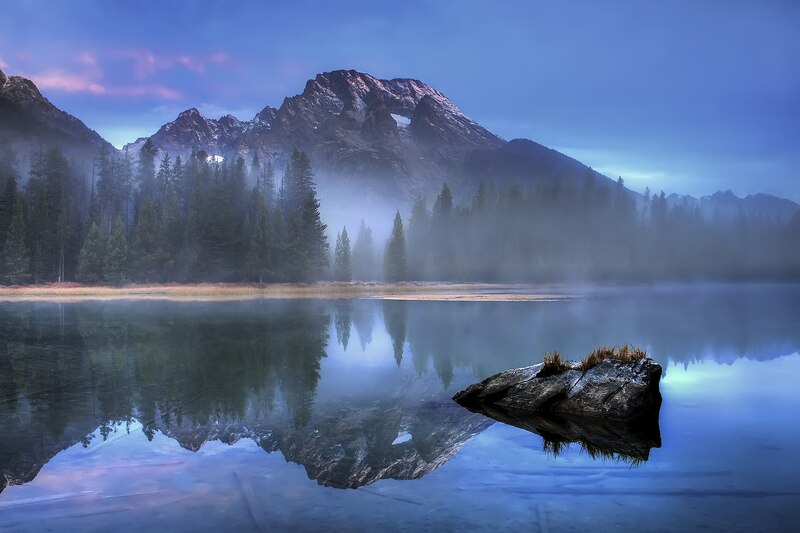 The park also has fascinating geography, with glaciated mountains, lakes, and valleys creating a unsurpassed landscape of beauty.